Brady Hotel Central Melbourne, a 4.5star hotel, in Melbourne, a city of bold contrasts, art, entertainment, sport, café scene, culture and more, Brady Hotel stands out. 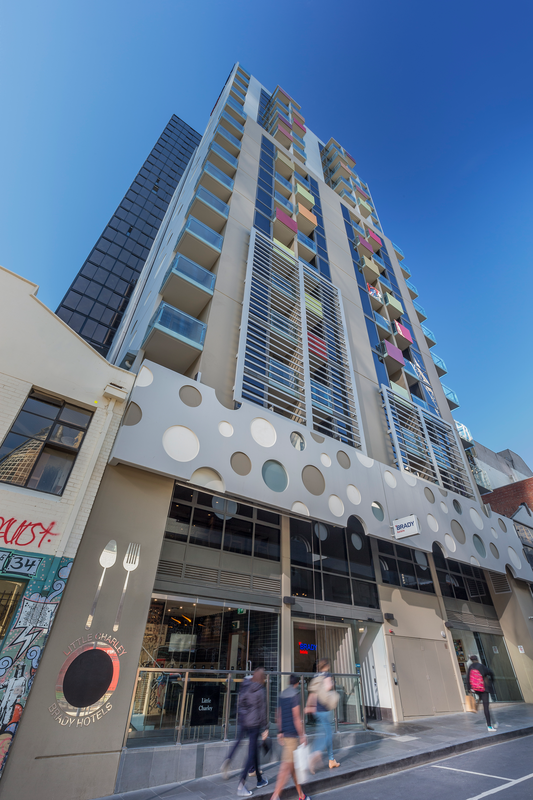 Tucked away in one of Melbourne’s laneways, Little La Trobe Street, in the CBD free tram zone, adjacent to Melbourne Central Shopping Centre, just steps away from State Library and Queen Victoria Market. 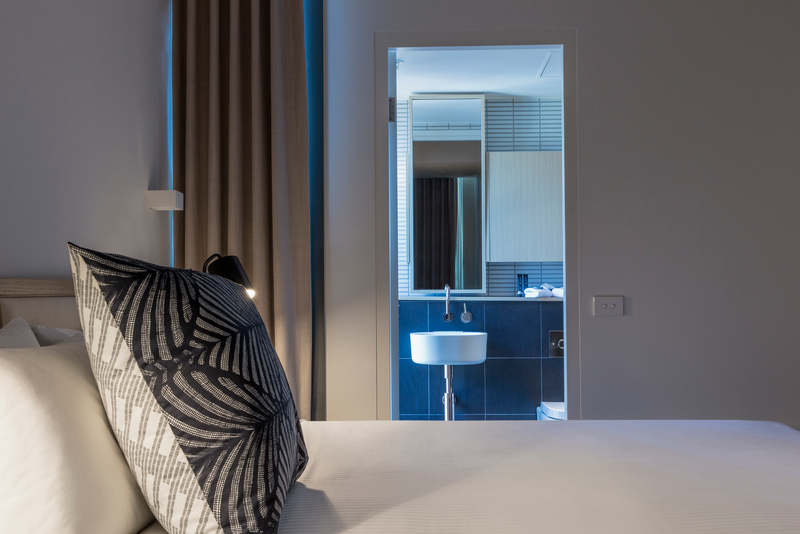 Brady Hotel is a boutique hotel, offering travellers in search of modern accommodations, with a café, cardio gym, intimate lobby with fresh service in an energetic setting. 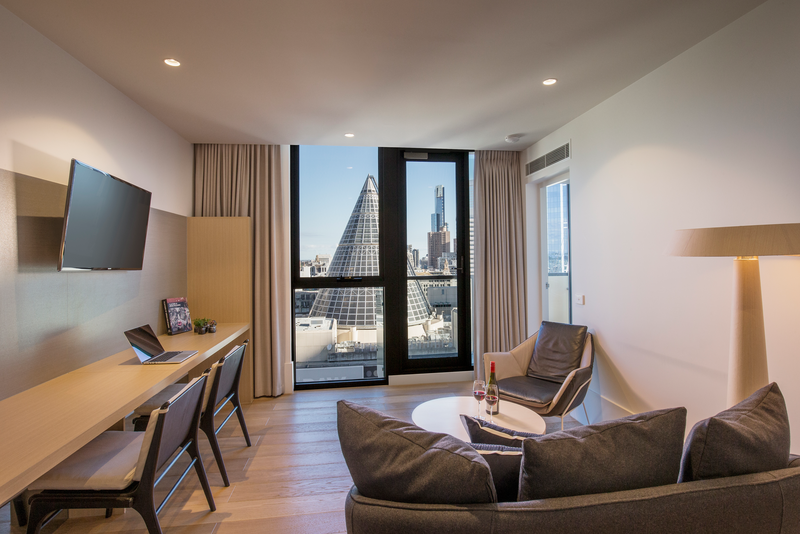 With 16 floors and 146 rooms, the rooms have a range of accommodation options including Guest Rooms, Studio Apartments and Two Bedroom Apartments. All accommodation is 4.5 star as rated by the Accommodation Association of Australia (AAA). 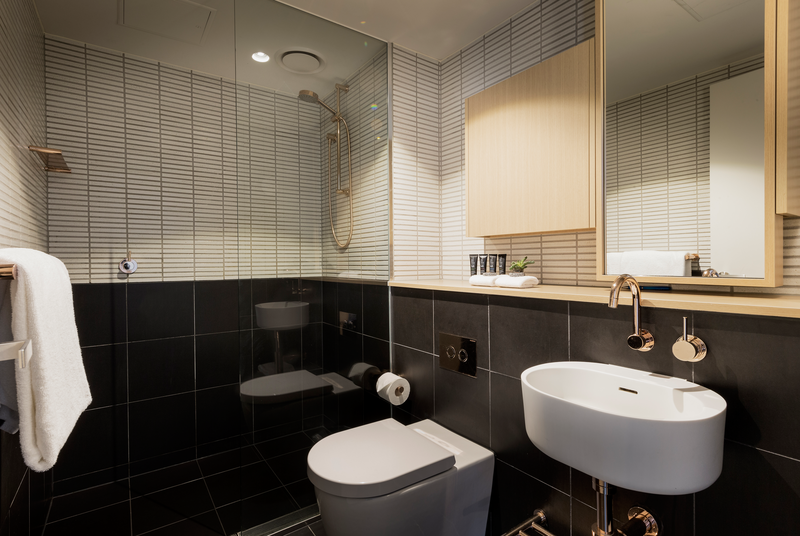 Reflecting Melbourne’s renowned bluestone architecture with a subtle palette of bluestone and natural timbers, complimented by inviting crisp white linens, high quality fixtures and finishes of brilliant copper and sophisticated leather accents. 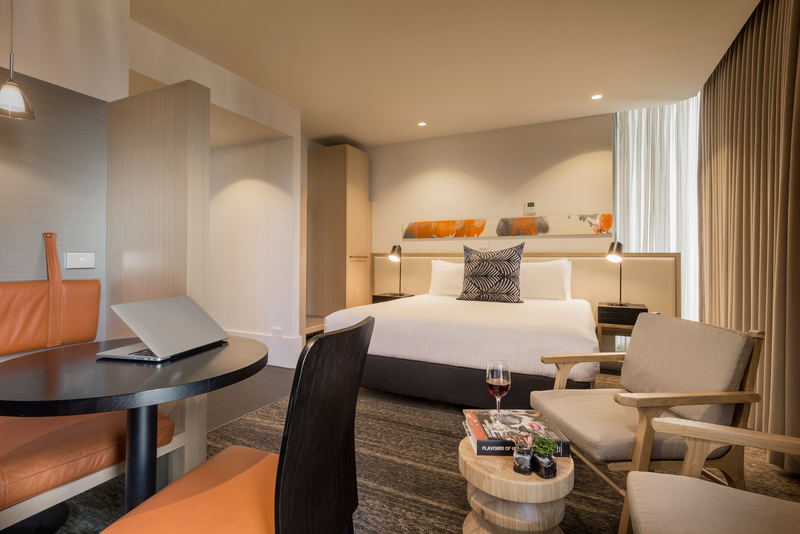 All rooms feature climate controlled air conditioning and large range of free-to-air and Foxtel channels on Smart TV’s for your enjoyment. A private Juliette balcony completes the experience. Book direct at www.bradyhotels.com.au to enjoy complimentary Wi-Fi access. Little Charley Café, a cool little spot on Little La Trobe Street. Simple fabulous food sets it apart. The breakfast menu takes inspiration from what is ‘in’ in Melbourne right now, with our own little twist. It includes pancakes, benedict, pork belly and a favourite smashed avocado, along with some excellent toasted take away items. Add a ‘Gigantic’ coffee, $3 any coffee, any size, made by our team of baristas. Dinner, another spin on classic burgers and rolls, freshest in-house made patties and fillings with no preservatives. Our burger ‘with the lot’ is a bit like you used to get at your old neighbourhood fish & chip shop, all the fillings and all the flavour! Then add fat chips and onion rings and your set. Let’s not forget the awesome super shakes. Nearby tram and train services will allow you to connect with the whole of Melbourne with ease. The hotel’s Little La Trobe St location is superbly placed if you’re staying for business,leisure or education and its conference rooms seating up to 40 people, with the option of full catering, are perfect for business functions. 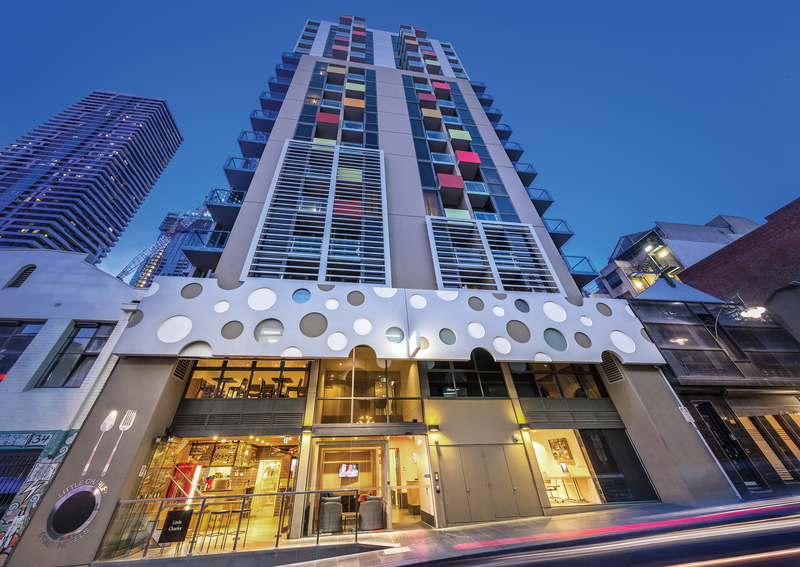 Brady Hotel Central Melbourne provides an engaging urban retreat for business or holiday exploration in Melbourne CBD.